We make it easy - prevent the need for injections and expensive, time consuming dental procedures with easy, regular check ups. Preventive dentistry is the key to maintaining ideal oral health for a lifetime by regularly assessing your oral health over time and making any necessary changes along the way. At Semidey Dental, we make your routine care easy so we can prevent more serious problems and prevent more expensive and invasive treatments in the future. Your full mouth examination by Dr. Alex is imperative to catch problems early. Your regular dental cleanings are key to preventing decay and gum disease. Advanced digital imaging to detect problems at their earliest stages. Oral cancer can be invisible to the naked eye, Oral ID fluorescence examination is necessary for detection. is now reaffirming what we have known in theory for generations - prevention of a future problem is better than fixing one. Dentistry has traditionally been focused on performing complex and expensive procedures to repair advanced dental problems. 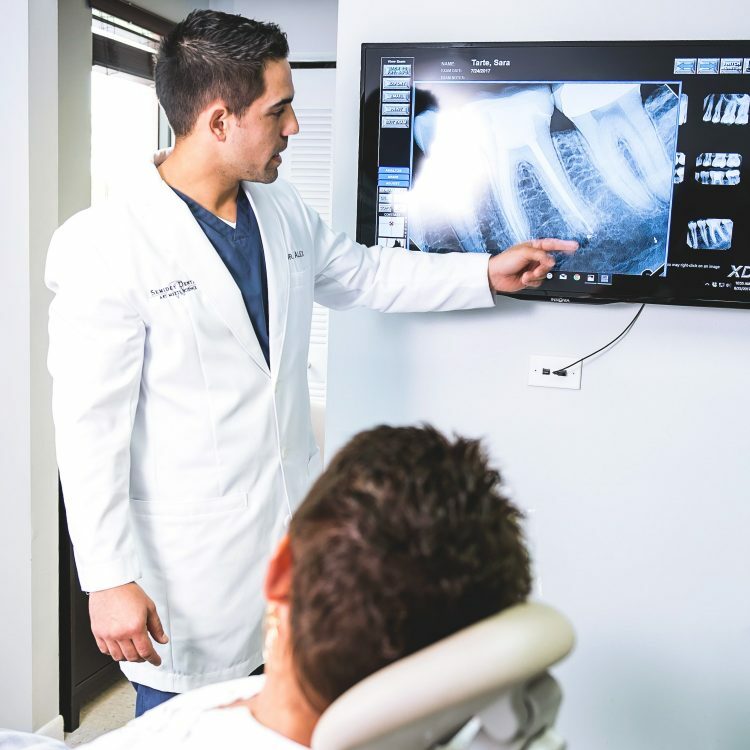 These types of procedures are sometimes necessary of course, however at Semidey Dental we take a unique approach to dentistry by utilizing the newest advancements in science to focus on prevention and the newest non-invasive methods to repair dental problems. The first step is assessing your current dental health and determining the problem areas. During your first visit with us, we don't only evaluate your teeth, gums and jaw, but we take the time to learn about your dental goals to come up with a dental health plan together. Our promise to you is that our visits together are never rushed and that we will make the process as easy and comfortable as possible. "REACTIONARY DENTISTRY IS IN THE PAST. TODAY'S FORWARD THINKERS FOCUS ON PREVENTION"
LEARN MORE ABOUT YOUR FIRST EASY CHECKUP.